Since I am now retired (as of May 1, 2016...), almost 2 years ago, I can no longer to spend outrageous amounts on my garden passion. Therefore, this year I kept it simple: I book the sunflower seeds in the birdseed and planted those. 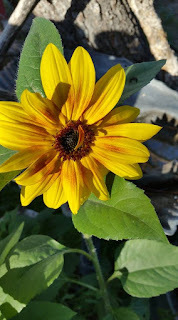 I also have sunflowers coming up from all the dropped and scattered birdseed from the feeders! 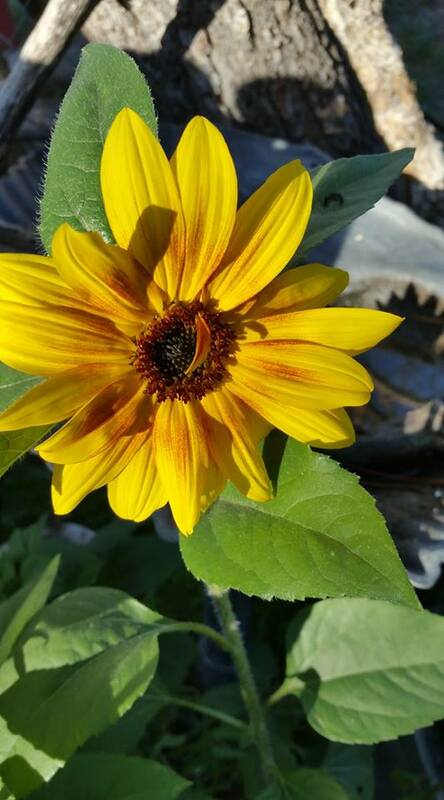 And, you should SEE my gorgeous sunflowers out in the back yard! Here is one photo and I'll be taking more today! This one opened up the last week of... FEBRUARY!